The Caudron Airplane Company (Soci�t� des avions Caudron) was a French aircraft company founded in 1909 by brothers Gaston Caudron (1882-1915) and Ren� Caudron (1884-1959). 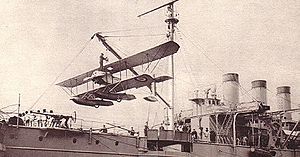 It was one of the earliest aircraft manufacturers in France and produced planes for the military in both World War I and World War II. The company was acquired by Renault in 1933. Caudron Pictures and Caudron for Sale.